It is a primary health care professional so a medical referral is not necessary. Chiropractors specialise in the diagnose, prevention & treatment of conditions due to bio mechanical dysfunction of joints, in particular of the spine. 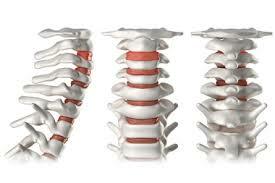 Chiropractic treatment is in the form of spinal adjustments which are done by hand and are highly effective & natural. The most common conditions patients attend a chiropractor are lower back pain, neck pain, arm, hip & leg pain, pins and needles in limbs. Often patients experience head aches which can be caused by tightness in the neck & shoulders. Numbness/Pins & Needles In LimsIf you suffer from any of the issues above contact Dr. Ruth Gregory for a consultation. A detailed medical history is taken and a range of orthopedic and neurological tests are carried out.In some cases further investigation are required such as X-rays or MRI scans and Chiropractors are trained to interpret both of these. A report of findings are given and the diagnosis is explained and a treatment program is clearly outlined. In some cases a patient will need further investigations and in such instances you will be provided a letter to give to your GP requesting these tests. At this clinic there is also a great emphasis on not only the adjustment of joints but also on the surrounding musculature.During treatment some massage is necessary to relax the muscle before the adjustment! All patients are given home stretching programes along with postural relief techniques and home icing/heat uses.All first time patient receive a Courtesy call two to three days after their first visit. Dr. Ruth Gregory is a member of the Chriopratic Assocation of Ireland. Dr. Ruth Gregory qualified from the Anglo European College of Chiropractic in Bournemouth in the United Kingdom. The Kilcullen Chiropractic Clinic treats a wide variety of patients who suffer from back pain to limb pain. The testimonials below are from clients who received Chiropractic treatments from Dr. Ruth Gregory . After getting a MRI due to severe leg pain as I was diagnosed with having a degenerative disc in my back. After several physio’s recommend surgery I attend the Ruth’s Chiropractic clinic. My back is greatly improved & I am back playing GAA for my local club.